I just bought this for for £0.25 from ebid.com. It's a 1993 non-fiction best-seller, which is also the #2 all time best selling title on the Desert Storm. Of course the book has to be parcel-sent to Malaysia and the airflown charges are 22 times the cost of the book. Still, I can't find the book anywhere in Malaysia, and to get one new will cost me around 22 USD = 15 UK Pounds = Ringgit 96. 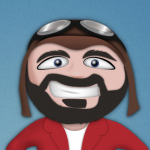 As it is with the aircharges, I'm spending 1/3 of what it would normally cost me. Plus it being out of print in the local book stores means that I got a good deal. Aviation book with low-level mud moving action, peppered with droll English wit and humour. My kind of book. Thanks for a recommendation Frankie. I'll definitely check it. Look what came in through the postbox yesterday. Don't you just love the soft feel of the envelope package? I just finished the book. Here is my honest review. The first page of the Book starts out literally with a bang. 280 pages later, it ends with a profound statement about what a hero and bravery is. The book is well written and is easy to read. You feel as though both authors are speaking to you. Such is the power of reading a book! The authors' descriptive writing makes their whole experience come alive. All five senses will be engaged. You feel the excitement as the airmen prepare for imminent war. You feel the aircrew's fear of failure when the Tornados refuel in-flight, in pitch darkness. You feel the scorching heat of the desert. You feel the adrenaline rush as the desert floor whizzes past the Tornado that is flying at 500knots, 50 feet above the ground. You taste the fear in the aircrew when they see Triple-AAA greet them as they fly towards and over the Iraqi airfield. You feel the shudder of the aircraft as the SAM hits it. You smell the prison surroundings and feel the dampness of the floors of their eventual prison cells. You winch as the authors describe the brutal blows and torture landed upon them, time and time again. You sniff a tear as you read about their emotional reunions. Such is the power of the descriptive writing style of the authors. 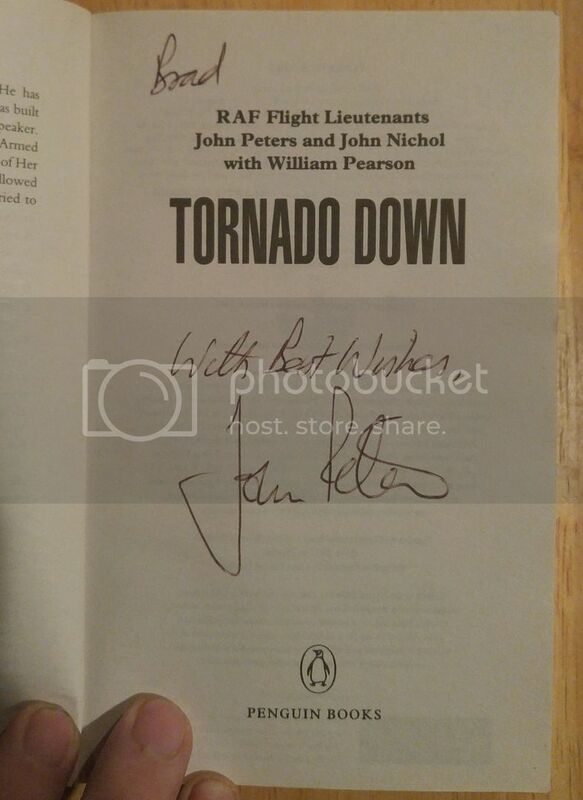 You mind also engages in the book's fascinating description and explanation of military and tornado technical details. For example, The authors explain loft bombing in a way that even a non-war enthusiast can enjoy and understand. They also touch on avionics and electronic counter-measures. The book has photographs and even a cutaway diagram of the Panavia Tornado with over 280 labeled components. This being a paperback, the words and combines were legible, but a tad too small for my eyes. Is there a hardcover version of this book? The second part sees the irony of life that one can still laugh in enemy territory after being shot down. There is also a miracle involved here. How they managed to remain unscathed despite enduring a fusillade of bullets their way. The third part is where I was gripped by terror and suspense as I followed both Johns in their 7-week ordeal as a POW, not knowing what the next day or hour would hold for them. Even though this book was first published more than 13 years ago, I had never read it. So as I turned the page and read that they were ushered into a room blind-folded and surrounded by Iraqis, I had no idea what terror lay in wait for them. What you don't know scares you. This book gave me a first-hand account of what a POW can experience in the hands of brutal and evil captors. What happens in an interrogation room is not something we want to know, but trust me, after reading this book, you will know what that process involves. You also learn about survival skills. That mostly starts in the mind. The will to live. The fourth part made me experience the highs, joys and triumphs of not just the airmen, but of their loved ones, their families, the whole RAF community and nations that never gave up on them. This book is a tribute to the living who served in Iraq's Desert Storm and to the dead who never came back. The books has a liberal dose of subtle humor. Dry wit, British-style which no other nation in the world can match. Not even Malaysia. The homourous text are like precious gems scattered throughout the book. Less so in the chapters where both Johns are held captive, but still they are there. Brilliant when you come across a phrase or sentence which you detect is as sarcasm and dry wit. The best line of the entire book is spoken by Helen Peters, wife of John Peters the pilot. I won't tell you what it is, but suffice to say, it is when she finally talks to him over the phone after his release. 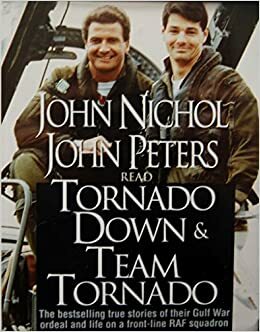 Tornado down is about the downing of a coalition bomber during Desert Storm, but it is also about the lifting of spirits. The human spirit. The book is available from Kobobooks.com, Amazon.com, but not available from a certain Frankie Kam. For me, this book is a keeper. 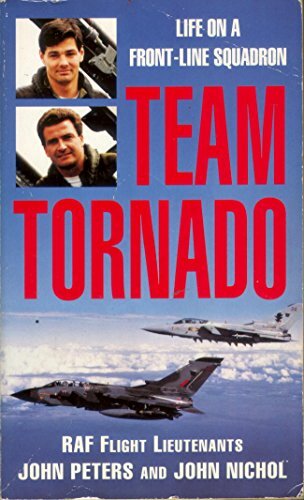 and their follow-up book Team Tornado. This reminds me it's time to re-read them both! And yes, they are available in hardcover but you may have to search a bit. I also have a combined audiobook version of both books read by John Peters and John Nichol. Published by Hodder Headline, four hours on four cassettes. Very well done IMHO. When DI released the Operation Desert Storm campaign for Tornado there was an endorsement from both authors in the game manual. Always thought that gave this sim an extra level of credibility. This work looks at what it is really like to be a fighter pilot in the RAF. It puts the reader in the cockpit, and goes behind the scenes at an RAF school, where it follows a number of recruits on the road from training school to operational missions. Includes up-to-date information on technology being used in the Gulf War and provides an insider's view of the life of today's top guns. 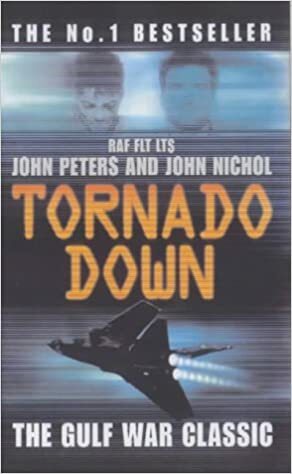 John Peters and John Nichol continue their Tornado Down story with their return to England and their subsequent life in an armed forces. 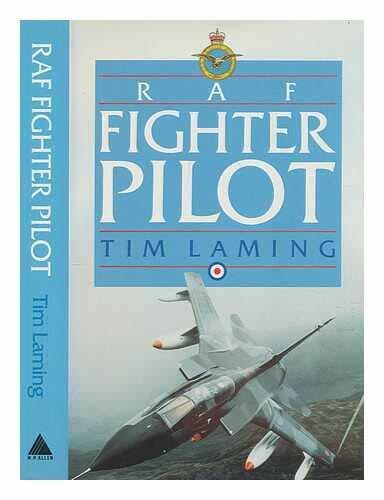 Together they give a first-hand account of what attracted them to join the RAF; how they coped with the memories of their ordeal in Iraq; their re-adjustment to life in England; and a description of the life of pilots in the RAF today including all the excitement of flying. Panavia Tornado ... "all the way!!!" Maybe I could persuade the developer(s) of Digital Integration's Tornado to write a memoir of the making of the PC game Tornado. Just a thought. Nice. Let us know what you think Frankie. Thank you for the review on Tornado Down Frankie! I had never heard of the book before & now & after reading your review I had to have it. You are most welcome, Longknife! Thanks Frankie. I've got it on my reading list now. According to my tracking my copy should be in the mail today. I'm looking forward to it. I have never read a combat aviation book from a non american pilot. What's the chances.... Just sat down to read a bit, opened the book only to discover I got a signed copy!